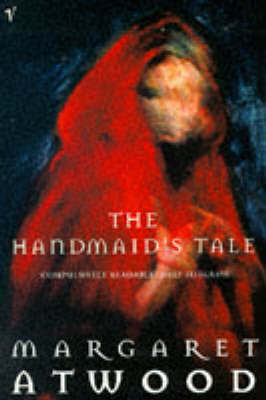 Offred is a handmaid's whose story unfolds in Atwood's famous dystopian novel. She lives in a world run by men, where women are powerless. They've lost their right to make decision, to learn how to read and even to have a job. The rulers claim they have "freed" the women from the painful tasks of having to find a husband or take care of themselves. Any women who are fertile are turned into handmaids and assigned to a home where they are forced to bear children for a married couple. When I began the book I assumed this was a dystopian set decades in the future, where the women had no memory of life as we know it. I quickly learned that Offred used to have a job, money of her own, a husband and child, etc. The decline into her current policed state was swift and terrifying. That realization made the book even more chilling because it's all too easy to imagine it happening today. I loved Atwood's bleak prose. Offred's resignation and despair were palpable. The tense relationships between the characters were thrilling. Offred was forced to walk a tight rope of suspicion in every conversation, never knowing who she could trust. "As long as we do this, butter our skin to keep it soft, we can believe that we will some day get out, that we will be touched again, in love or desire." "We are not each other's, anymore. Instead, I am his." BOTTOM LINE: I can't recommend this book highly enough. Though it's more than 30 years old, it's more relevant than ever. 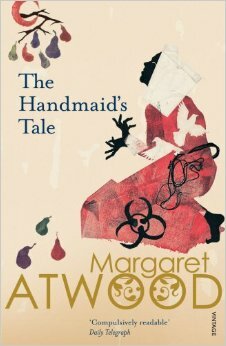 Atwood's writing reveals the story bit by bit, allowing the horror of the changed society to creep up slowly.I read it for the first time in 2010 and rereading it this year gave the story even more depth. This post assumes that you have read the book. Whoa. 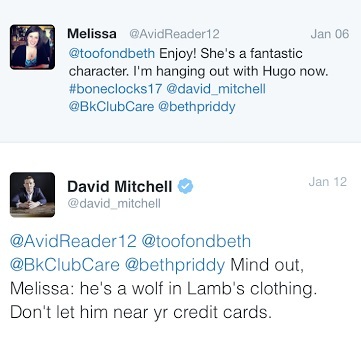 So first off, David Mitchell tweeted to a few of us during the readalong, which kind of made my month. Crispin is such a self-centered jerk at the beginning of his section. I felt like his character became a bit more grounded over the few years we had with him. I thought it was interesting to see how Holly’s “gift” developed as she got older. It was such a blessing and a curse for her. I was absolutely horrified by how Crispin’s “prank” ended up ruining a man’s life. It was certainly a lesson in choosing forgiveness over revenge. Honestly, I was hoping to learn a bit more about Soleil Moore, the woman who shot him. I felt like she came out of nowhere and I wanted to know more about how she’d discovered so much. I thought she’d pop up in one of the final two sections, but she never did. This section felt so different from the others. I liked it because it explained so much of the backstory that was only hinted at before. At the same time, I missed the human connection I felt in some of the other sections. This one felt a bit like watching a movie unfold, if that makes any sense. “The good guys are a group of people who get reincarnated 49 days after they die, with full knowledge of their past lives. The bad guys achieve a kind of pseudo-immortality – they stop ageing, but can still be killed by violence or accident – by murdering psychic children, ‘decanting’ their souls into an evil wine." That just about covers it. Although in the book it felt much more human to me because by the time we learn all of this we are already invested in Marinus’ story. For me, Marinus was a great character. She gives us a deeper view into the supernatural elements, but she also conveys her loneliness before finding the other horologists and her grief after she loses so many of her friends in 1984. When she searches for Esther in Holly’s memories, I liked the glimpses we gained into Holly’s life. This section was full of action, betrayal, backstabbing, and a massive battle. So much happens! So, I thought it was a strange choice to have everything come to a head in the last section, then we jump forward in time and land on the sedate Sheep’s Head island. It’s interesting to see the turn the world has taken, but for me it felt anticlimactic. I also felt like I was being preached at about climate change, which took me out of the story while I was reading it. I did like seeing Holly as an older woman. That was one of my favorite parts of the entire book, seeing Holly’s life at different points. Mitchell created such a rich character in Holly Sykes. I loved watching her mature and grieve and struggle and fall in love. BOTTOM LINE: This book is one that will be with me for a long time. It felt like such an experience. Sometimes I read things and a week or two later I realize very little of the book stuck with me. That won’t be the case with The Bone Clocks. Part of that is because of its length, but it’s also because it’s a complex novel. I had to work hard to make sure I was paying attention and catching references in each section. It doesn’t sound fun when you describe it that way, but it really was. I loved the layers of the story. I was constantly thinking about it when I wasn’t reading it. This is definitely not a book I would recommend to everyone. There were parts and characters that I struggled to connect with, but on the whole, I really loved it. Mitchell doesn’t create light, disposable novels. His books should be savored. He builds worlds that leave you reeling and I was left wanting to read even more of his work.